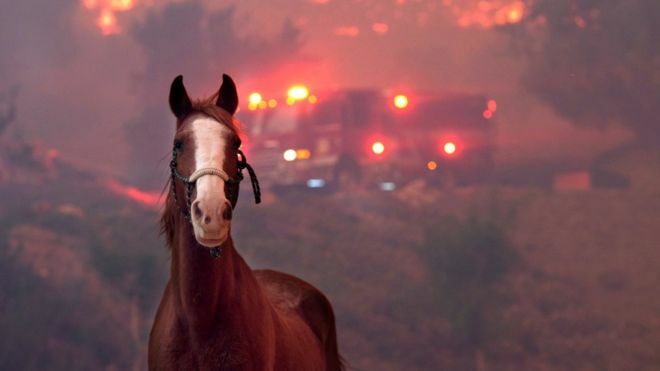 It wasn't just little critters that were caught in the midst of the fury of the flames -- there were deer, donkeys, lambs, big dogs, little dogs. When the wind blows, the flames move so fast it's nearly impossible to outrun them. This pic was taken by BBC News.